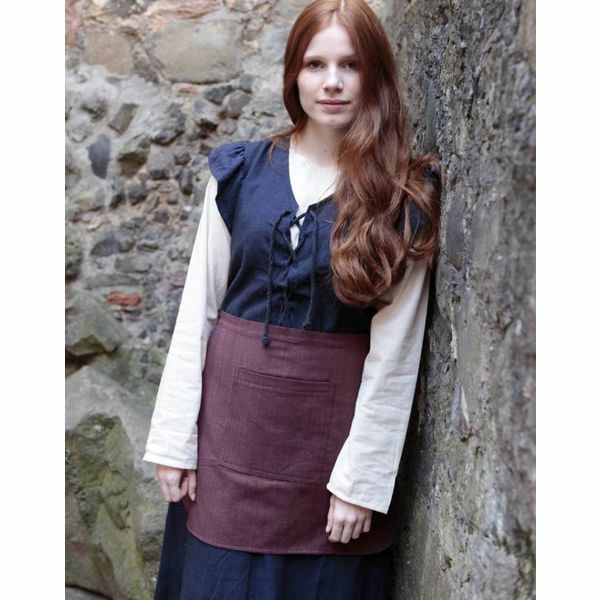 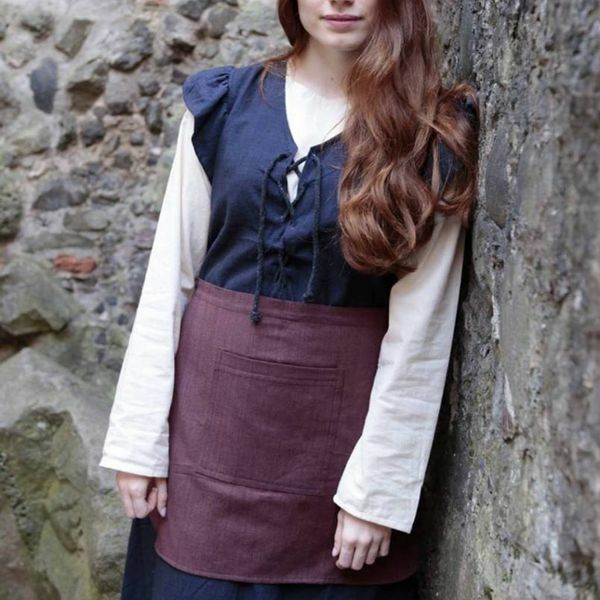 This dress with apron is based on high medieval garments. 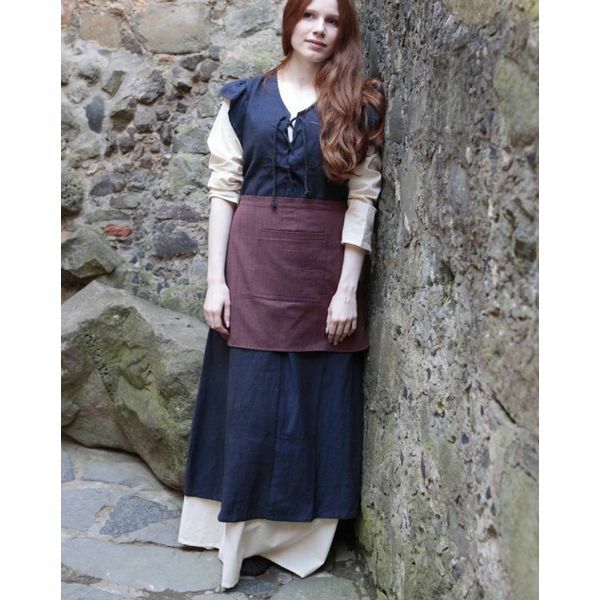 Dresses like this were worn by the common class. 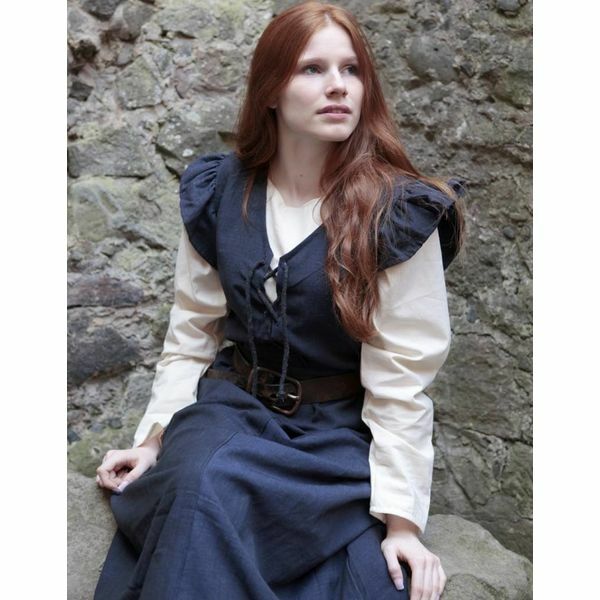 Is has playful sleeves and a cord to close the neckline.